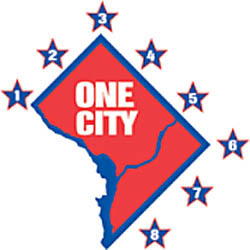 (WASHINGTON, D.C.) – Mayor Vincent C. Gray today announced the consultant teams selected by the District to support the development of the congressionally requested Height Master Plan for the District of Columbia. House Oversight Committee Chairman Rep. Darrell Issa (R-Calif.) asked the District and the National Capital Planning Commission (NCPC) to create a joint Height Master Plan that will explore the impact of strategic changes to the federal Height of Buildings Act of 1910 (The Height Act) and determine the extent to which the Height Act continues to serve both the federal and District government interests. The Height Act is a federal law that imposes restrictions on the height of all buildings within the District’s boundaries. “I am excited to have these experienced and highly regarded experts provide their knowledge and experience to help us take this once-in-a-century opportunity to strategically examine how we can preserve this city’s unique and iconic skyline while exploring how to ensure the Height Act continues to meet federal and District interests,” said Mayor Gray.  Minimizing the negative impacts to nationally significant historic resources, including the L’Enfant Plan. Additionally, the study will consider local economic-development goals as well as federal interests such as security, local community input, compatibility with surrounding neighborhoods and other factors. NCPC has contracted with AECOM, an interdisciplinary firm with expertise in urban design and planning in the Washington area, to develop case studies and compile best practices from around the world for managing building heights in thriving capital cities. NCPC and OP will host public meetings starting in May to present and gather public feedback on the Height Master Plan. NCPC (composed of presidential appointees and representatives from the District of Columbia, federal agencies and Congress) will vote on the plan’s recommendations. Recommendations will go to Congress this fall. Please visit www.ncpc.gov/heightstudy for more information, public meeting dates, videos and opportunities for the public to sign up for updates and to comment online. The Height Act is a federal law that can be modified only through congressional action. Any changes to the law proposed by Congress will not pre-empt local decisions by the District government about whether and when any changes to building heights would occur. The District would undertake amendments to its Comprehensive Plan and then initiate any zoning changes deemed appropriate through its normal processes, including substantial public input, to respond to any congressional modifications to the Height Act.